Steampunk. What on earth does this word mean and how is it considered a new fashion craze? 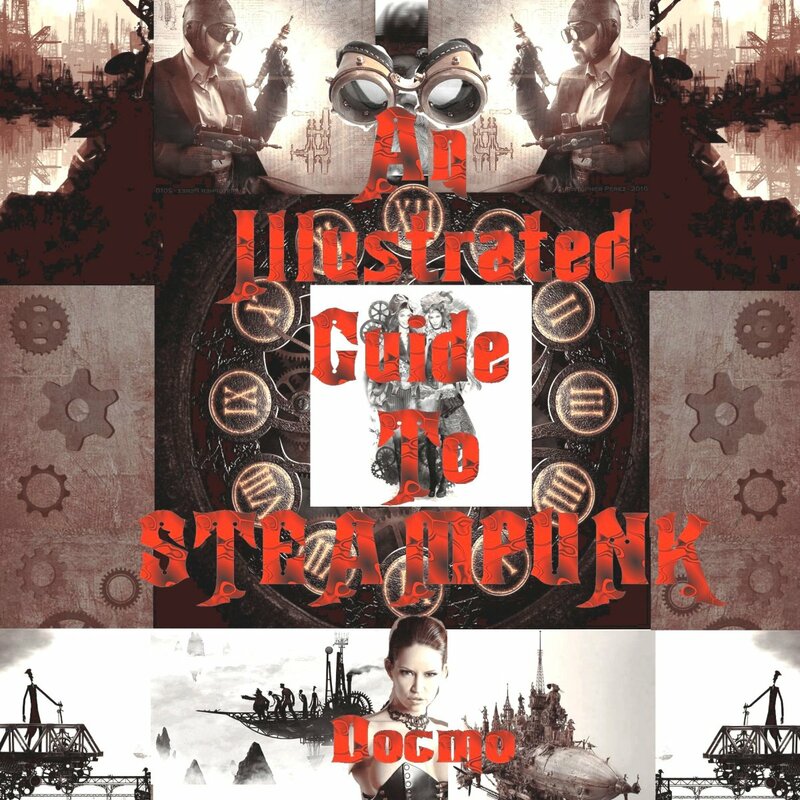 Steampunk is a subgenre of a couple different types of fashion styles and cultures. To me, steampunk is a crazy concoction of Victorian style, Gothic style, Alternate History, Science Fiction, Fantasy, and the Industrial Revolution. Have you ever seen the movie A Series of Unfortunate Events? The fashion, details, and settings of this movie are all considered steampunk. Other movies that are based on the Steampunk subgenre include Wild Wild West (yes the weird movie with Will Smith that came out in the late 90s), The League of Extraordinary Gentlemen, Van Helsing, The Golden Compass, Sherlock Holmes, and The Prestige. If you're looking for inspiration for your own steampunk fashion, watch some of these movies to get a good idea of what steampunk fashion really looks like. Submerse yourself in all things Victorian style - read Victorian fashion blogs, watch films with settings in the Victorian era, read books from Victorian times (especially H.G. Wells and Jules Verne), look at picture of Victorian women. 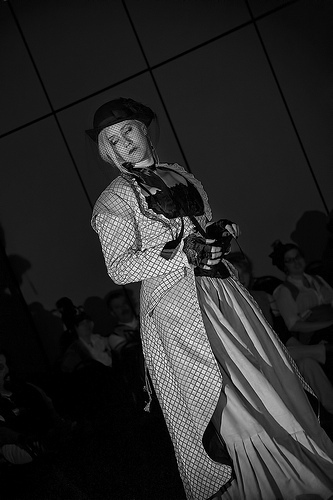 Victorian fashion is the basis for the steampunk fashion for women and should be studied carefully and used as true inspiration for steampunk style. 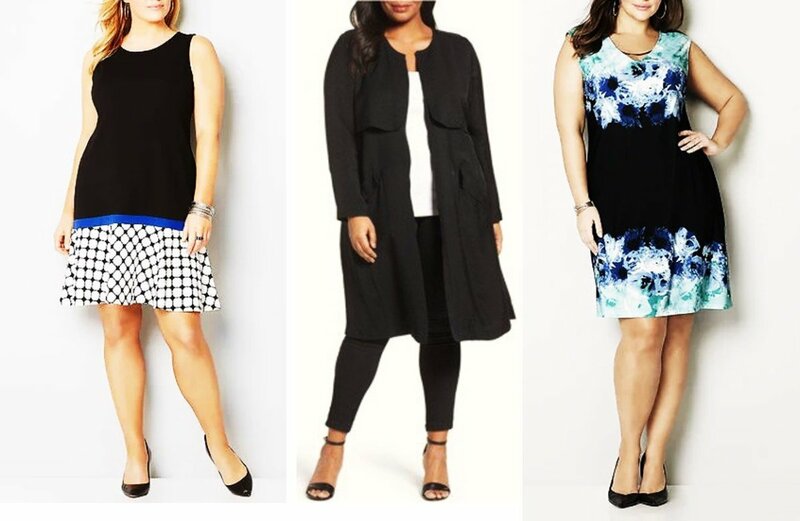 If you're a true DIY-er at heart, you might want to consider sewing or making your own steampunk fashion for women. There are a ton of patterns on the internet for Victorian costumes, dresses, crinolines, lingerie, and corsets that you could make and conform to fit your own unique style. Instead of using black or dark brown fabric, choose purple or royal blue...or even pin-striped fabric to really make your steampunk fashions pop. You could also search vintage stores and thrift stores to find key pieces to de-construct and reconstruct to fit into your steampunk fashion needs. Lace curtains could be turned into lace gloves or a lace capelet. Men's ties could be used around your own neck or as fabric for a steampunk style belt. Use your imagination and think Indstrustial Revolution. 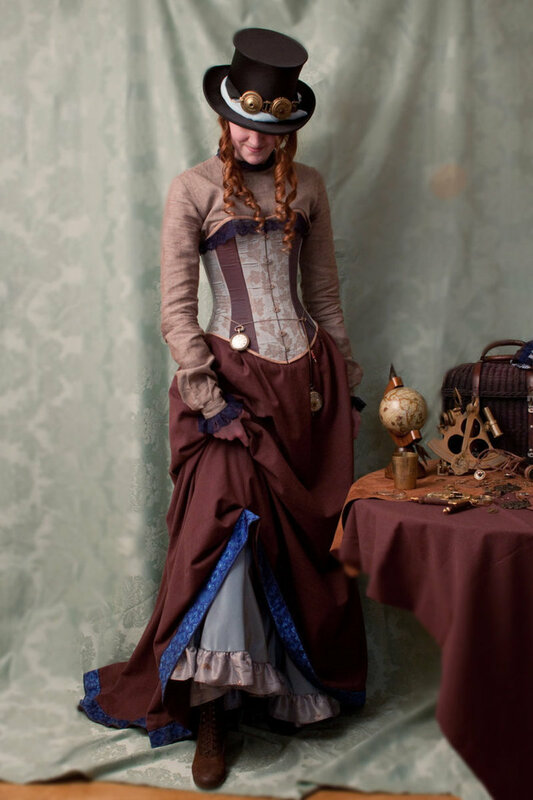 Just a Victorian dress, corset, and boots won't complete your steampunk fashion look. Every steampunk person knows that the look requires a lot of accessories or steampunk stuff to tie it all together. 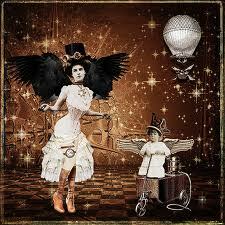 The main characteristic of the Steampunk fashion is the quirky, mechanical pieces. Steampunk jewelry consists of watches, rings, necklaces, and earrings that all look as though they could either fly off of your body or generate enough steam to turn you into a train. What is up with all of the wild accessories in the Steampunk fashion, anyway? You night have noticed that many Steampunk people wear a pair of goggles...or even two pairs of goggles. Why is this? The goggles are inspired by the days when aviation was a new idea...an exciting new idea. Steampunk fashion is influenced by the Industrial Revolution and the beginnings of modern transportation and technology as we know it...obviously this is going to include aviation, trains, and all sorts of machinery. 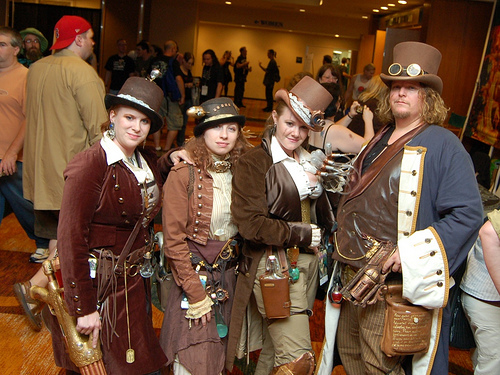 Add a pair of goggles to your steampunk look and you'll fit right in with the Steampunks. Other baubles and contraptions you might notice as Steampunk accessories include watches that look like metal gears and earrings of metal gears with wings. Not only do these things tell the time, but they also generate steam and fly! Or, simply add a bunch of metal gears and compasses to your belt or corset for the perfect Steampunk outfit. Don't forget the gas masks made of leather, leather bracelets and necklaces, and top hats. The top hat is an awesome Steampunk accessory and can be worn by both men and women. Top hats come in many different types of fabric - various colors and materials. Leather top hats are the rage with Steampunk lovers. Add a pair of goggles to the top hat and you've made the perfect Steampunk accessories. Ladies, if you're going for a softer Steampunk look - lacey gloves and parasols are just dainty and delightful! Steampunk accessories can be found all over the internet - Amazon, Etsy, and eBay. 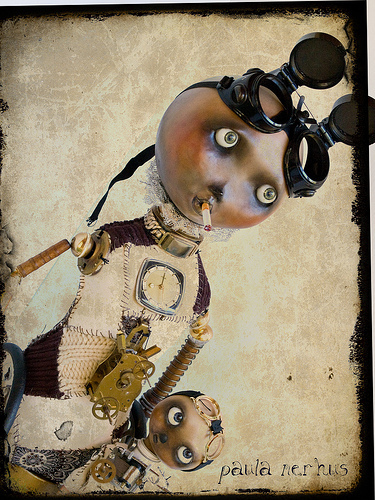 There are websites dedicated to steampunk only...so get shopping and go steampunk! My favorite part of Steampunk is the notion of mysterious gadgets of unknown origin or function that wind up doing something fabulous. salmankhan6263 - Awww, thanks! That's very flattering...but I'm already taken. ;) Happy Holidays! Thanks, Paradise! 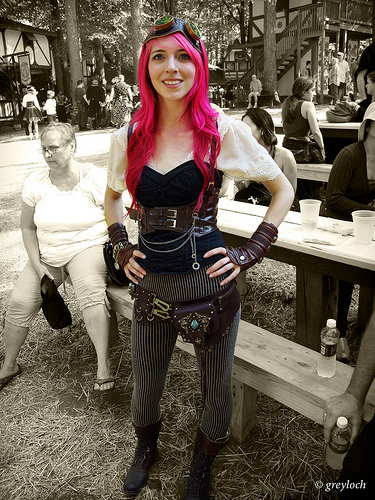 I love the steampunk style, though I would never actually wear it for anything other than a costume party. I had to visit just to find out what "steampunk" is. Now I know!